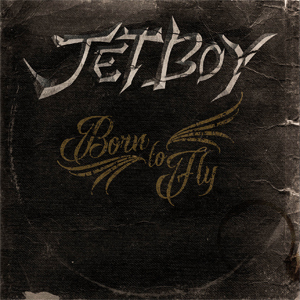 JETBOY will unleash their new album Born To Fly on January 25, 2019 via Frontiers Music Srl. This will be their first new studio album in nearly 30 years. Today, the band is pleased to release the second single and debut the lyric video for "Beating The Odds". Watch the video below. Of the new single, guitarist Billy Rowe says, ""Beating The Odds" features a spoken word piece by the late, great Lemmy Kilmister. In 1990, Lemmy became friendly with us and jumped on stage at the Cathouse for our second album release party to cover a rocked up version of Jerry Lee Lewis' "Great Balls Of Fire". A year or so later, Lemmy ended up helping out with some backing vocals on a demo, along with a spoken word piece titled The Reading, which was written by Lemmy & Mickey [Finn, vocals]. In the breakdown of this new single, we edited a portion of the reading as we felt it was such a perfect fit for the track. The video was also inspired by Lemmy, with an animated story of a war pilot in a dog fight and beating the odds to survive." Founded in 1983 by guitarists Billy Rowe and Fernie Rod, JETBOY continues to crank out their brand of rock n' roll in the 21st century with the same passion that has existed from the beginning. And rock 'n roll is what you'll get on their upcoming new album Born To Fly. This new album - put together by the band's core of guitarists Billy Rowe, Fernie Rod and vocalist Mickey Finn, alongside former FASTER PUSSYCAT bassist Eric Stacy and drummer Al Serrato - is the first fully-fledged set of new material from JETBOY since 1990. Born To Fly is a fine rock record by any measure, hinting back to the band's '80s sound and 70's influences, while adding 30 years more experience to the grooves. JETBOY is ready to fly again.